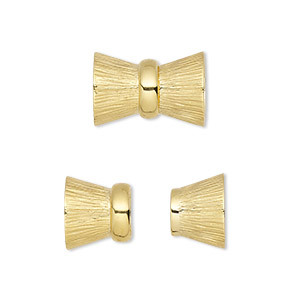 Clasp, 4-strand magnetic, "vermeil," 16x11mm bowtie. Sold individually. Item Number: H20-2948FY Have a question about this item? 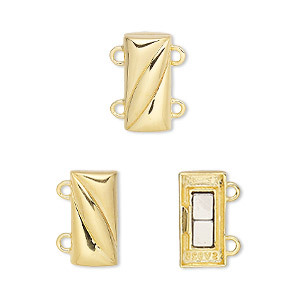 Attractive magnetic clasps have a standard-strength magnet to securely fasten your jewelry designs. 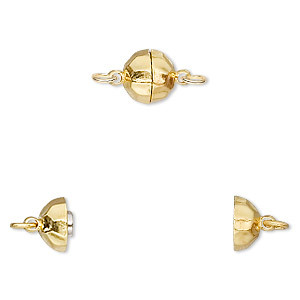 Each "vermeil" clasp is made from sterling silver electroplated with gold. Clasp, magnetic, sterling silver, 16x11mm bowtie. Sold individually. Clasp, magnetic, "vermeil," 15x7mm brushed hourglass. Sold individually. Clasp, 2-strand magnetic, "vermeil," 14x7mm rectangle with wave. Sold individually. 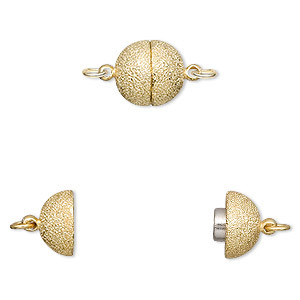 Clasp, magnetic, "vermeil," 10mm stardust round. Sold individually. 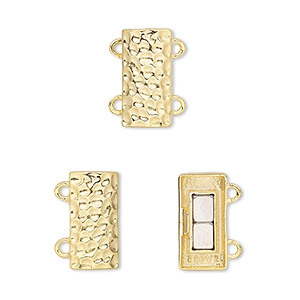 Clasp, 3-strand magnetic, "vermeil," 20x7mm hammered rectangle. Sold individually. 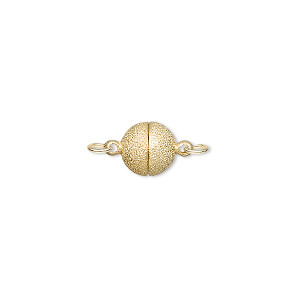 Clasp, magnetic, "vermeil," 7.5mm stardust round. Sold individually. 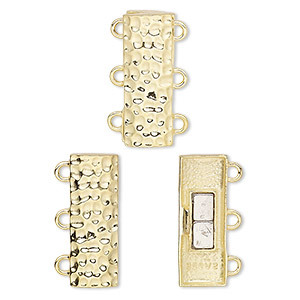 Clasp, magnetic, "vermeil," 8mm hammered round. Sold individually. 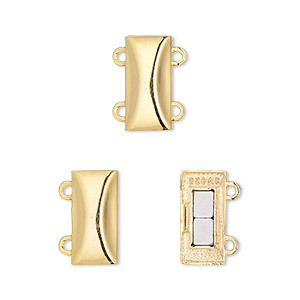 Clasp, 2-strand magnetic, "vermeil," 14x7mm rectangle. Sold individually. Clasp, 2-strand magnetic, "vermeil," 14x7mm hammered rectangle. Sold individually. 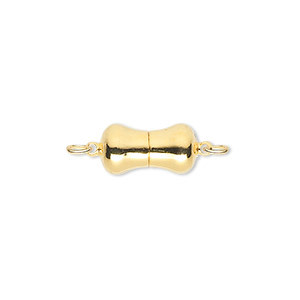 Clasp, magnetic, "vermeil," 13x8mm double bell. Sold individually.